Whizz Pop Bang – the awesomely amazing science magazine for kids is packed full of engaging science features, delivering hours of educational fun each month. Buy a subscription to Whizz Pop Bang magazine. 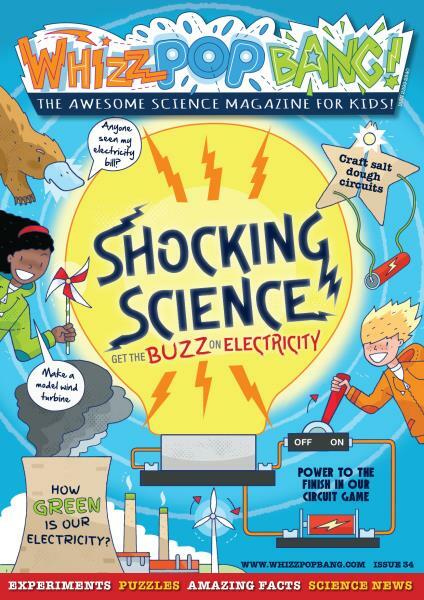 Whizz Pop Bang magazine inspires children with hours of science fun! The magazine is packed full of all things science, written by science communicators. With lots of ideas for exciting experiments to try at home, fun puzzles and science news children can become scientists. Whizz Pop Bang is designed to capture children's imaginations and instil a love of science from an early age with all the hands-on activities and experiments.